When you pick apart an entire division on your path to a world title like middleweight Robert Whittaker did, defending your belt on home soil isn’t a privilege – it’s a right. And after two fantastic wars with top contender Yoel Romero, there was no doubt that Whittaker had earned the chance to defend the strap in Australia. An opportunity in which “The Reaper” also known as “Bobby Knuckles” calls a “dream come true”. 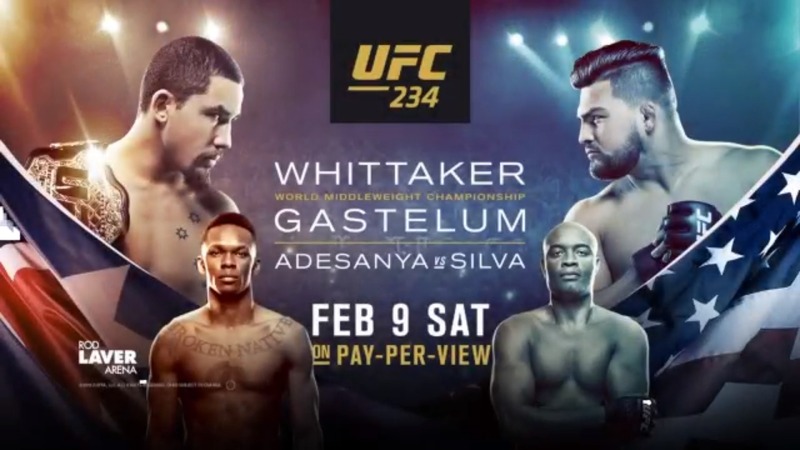 Across the Octagon from Whittaker on Saturday night will be Kelvin Gastelum, who like Whittaker, won The Ultimate Fighter and eventually moved up from welterweight. All similarities aside, the fight between Whittaker and Gastelum is one that fans should be thrilled to watch. We caught up with the champ to discuss coaching TUF with Gastelum, video games and his match-up Gastelum. Go back to the night Robert Whittaker put his name in the record books, as he defeated Yoel Romero at UFC 213 to become a UFC champio. UFC: Champ, you’re about to fight back in Australia for the first time in over two years. How are you feeling? Whittaker: I am so excited to be able to defend my belt in Melbourne. It was disappointing not to be able to defend my belt last year but I’m looking forward to a strong return and accomplishing one of his dreams. UFC: Your second fight with Yoel Romero was one of the greatest fights the middleweight division has seen. Not taking anything away from your opponent, but did outlasting Romero and winning that fight leave you with the feeling that no one can beat you? Whittaker: Definitely, I feel that’s how a lot of the division should feel as well. What do you need to do to get me out of there (the Octagon)? You can’t. UFC: What was it like coaching with Gastelum on The Ultimate Fighter and how did you two get along? Whittaker: Kelvin was a good guy, he stayed out of my hair I stayed out of his. Got along with him just fine, it was kind of annoying by the end because it’s hard to be around someone you know you’re going to fight eventually and it just starts to eat at you. Everything was very civil, I look forward to seeing him on Saturday. Whittaker: He might be, who knows. But a lot of other people have said that and there’s a club running at the moment. UFC: You’ve mentioned that Gastelum should be aware of your punching power and striking. Can you talk about that? Whittaker: I’m a very good striker, striking is what I do. If he’s not giving my striking the respect that it deserves, but I know he is, then he’s gonna be in trouble. UFC: So we hear that you’ve been playing a lot of basketball lately, how’s your game? Whittaker: My game is terrible, I’m trash. The only thing I’m good at, half good at, is fighting. It’s how they persuade and trick me to come into training. 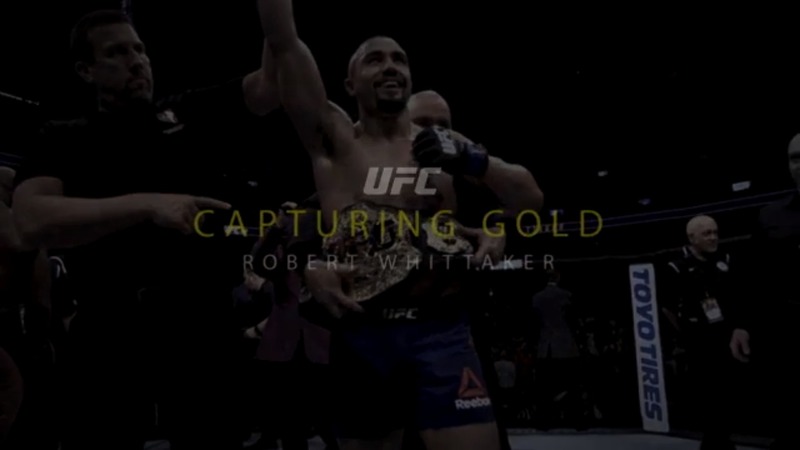 Go inside the lives and training camps of middleweight champion Robert Whittaker and title challenger Kelvin Gastelum as they prepare for UFC 234. UFC: Jeff Fenech says you're now the face of Australia's fight game now. What's it like to hear that kind of praise? Whittaker: I’m deeply honored with that comment. With someone of that renowned acknowledge my skill set, unbelievable. UFC: Tell us about your passion for video games and does it help you get your mind off fighting a bit? Whittaker: Yeah I’m a huge video game guy, currently playing like a lot of the Fallout 76. Just running around in the wasteland trying to smash things. But yeah, you know it’s good fun. It helps me escape and get away from the pressures a little bit and try not to think about the stresses and pressures of fighting. UFC: We know you’re focused on your fight but are you going to be to have your eye on the co-main event? Whittaker: I’ll be watching all the fights but the only fight I’m truly invested in is Kelvin.